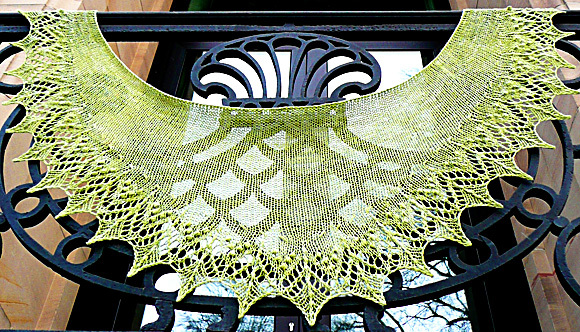 Continuing our shawl-of-the-month KAL, this month we will be doing the GORGEOUS 'Annis' Shawl from Knitty. Pull something special out of your stash for this one! I'll be using a lovely tonal Sea Silk for mine. The pattern is available free on Knitty (link). As a reminder, our CAKAL (that's Crochet-and-Knit-a-long) groups meet Sundays form 1-4pm, though of course you're welcome to bring your project in on Tuesdays or Fridays (or any time at all).